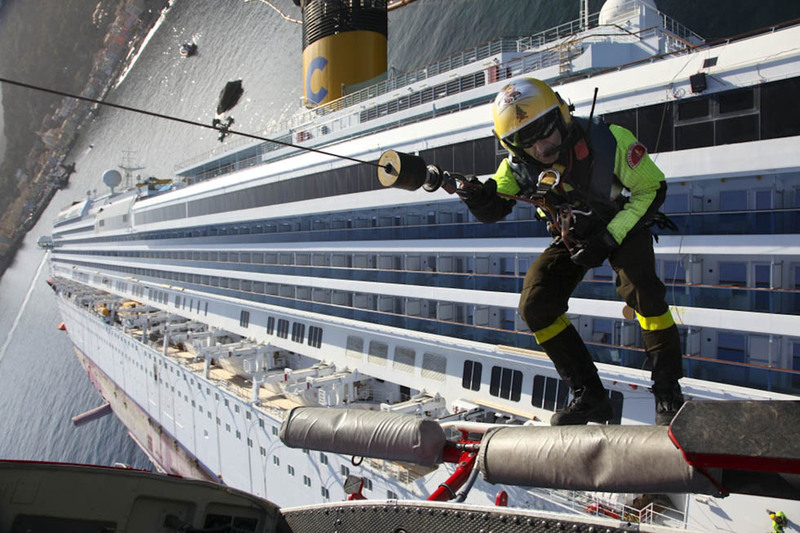 Divers have recovered three bodies from the wreck of the cruise ship Costa Concordia. Two female bodies were recovered on desk 4 near the Internet Cafe. 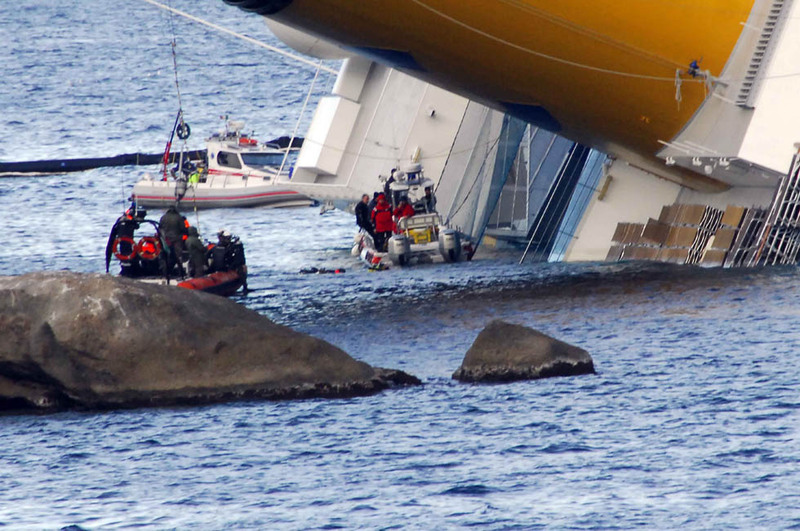 An additional female body was recovered earlier, but was not on the list of missing registered passengers. This has made a big problem in knowing how many people are missing because no one knows how many unregistered passengers were aboard ship. 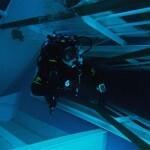 One report states that the vessel that boards the vessel has their photograph taken when they go up the gangplank. 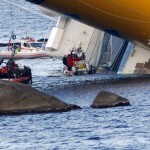 An officer from the Concordia stated that the vessel kept electronic records of passengers and there was not a possibility of stowaways. 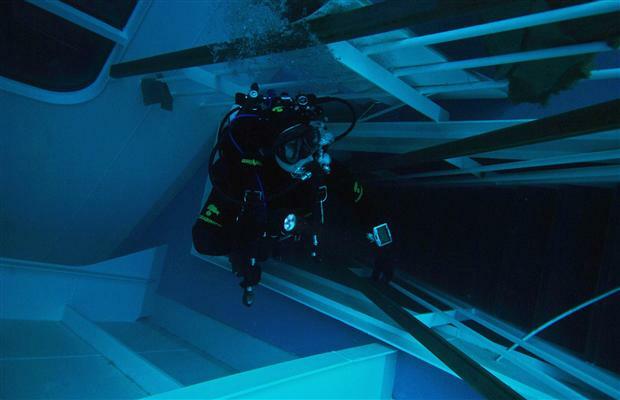 On January 24, another body was recovered by divers searching on bridge 3 making the total recovered to 16. Salvage crews report that they have been given the go-ahead to begin pumping out fuel oil, diesel and lubricants from the vessel. The 2,400 tons of fuel oil will be the highest priority. The operation is slated to begin January 24th and should take more than 4 weeks to finish. Salvors will attach steel moorings to the front of the vessel and another oil boom will be placed around the vessel to contain any pollution released. 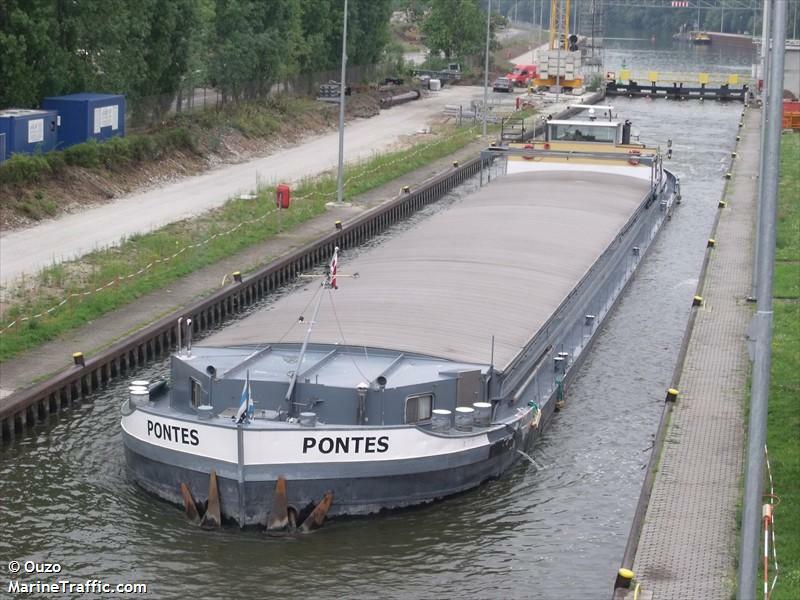 The 80 meter long self-propelled barge Pontes allided with the lock gate at Eckersmühlen, Germany on the Main-Danube Canal. The Pontes had departed before the gate had fully opened. The lock gate was severely damaged and has stopped traffic until a replacement can be installed. 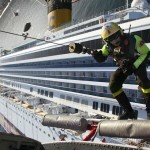 The vessel was inspected and was allowed to proceed to Regensburg. No reports of injuries or pollution being released.